High-quality products are only the beginning. 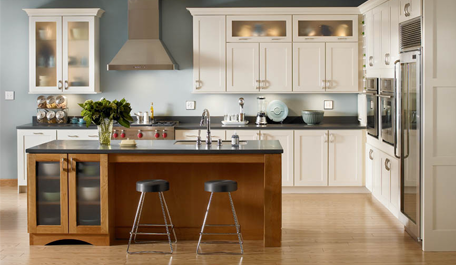 At Grand Tile & Cabinet, we help you throughout the remodeling process. We'll recommend bathroom and kitchen remodeling contractors who will complete the installation. For your convenience, we provide a one-stop shopping experience for your remodeling. We refer you to licensed, bonded, and insured contractors with whom we have worked for many years. These contractors specialize in kitchen and bath remodeling, and they generally finish your kitchen and bath project in days — not weeks. Contact us today to find out more about our installation services.